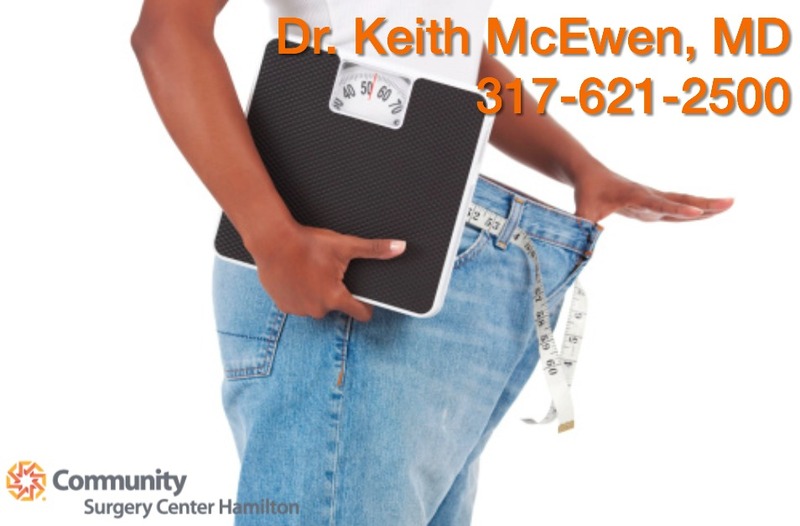 Keith E. McEwen, M.D., is widely recognized as one of Indiana’s top weight loss surgeons specialized in NON-RESECTIVE bariatric surgery. Dr. Keith McEwen’s interest in bariatrics presented itself after seeing the increase in BMI of his surgical patients. In February 2004, Dr. McEwen began training for the Lap Band System. He was certified to perform the LAP-BAND System procedure by Inamed (the original designer of the Lap Band System) and again by Allergan Medical, the LAP-BAND System manufacturer. He has since performed more than 2,500 LAP-BAND System procedures and consistently championed the importance of after care follow up pathways for weight loss patients especially Lap Band System. Non- resective procedures require education, complaince and a willingness to participate in follow up care for both the patient and the surgeon. Dr. McEwen’s facilities are especially designed to cater to the needs of the bariatric patient. From the initial consultation to the surgery and aftercare programs, you will experience a comfortable, supportive atmosphere managed by an experienced, compassionate staff. You will feel welcomed, understood and personally cared for by our specialized team and personalized tools. And our weight-loss surgery procedures are performed in an outpatient setting, so you’re home in a matter of hours, not days. One of the most experienced and respected non-resective bariatric surgeons in the country, Dr. Keith McEwen has performed more laparoscopic LAP-BAND System procedures than anyone in central Indiana. Since 2005, he has prided himself on the aftercare of Bariatric surgery. Working in a state-of-the-art outpatient facility, Dr. McEwen and his staff of caring professionals will take the time to deliver both the education and support you need to ensure your long-term health and success with a weight loss tool. Dr McEwen is the most experienced lapband surgeon in INDY! I was one of his first lapband patients in INdianapolis. As a self pay lap band patient, I think my lap band was the best investment I have ever made in my life. If you are in INDY ck out lapbandindiana with Dr Keith McEwen! I really liked your site and i am interested in building a relationship with your site. We want to spread public regarding obesity and nutrition awareness. I hope you can help me out. I found you site interesting and your site is a very useful resource too.